Prolonged cough may be the remnants of a cold and a sign of chronic bronchitis or pneumonia. If he does not respond to treatment within 2 weeks, you need to visit a therapist. 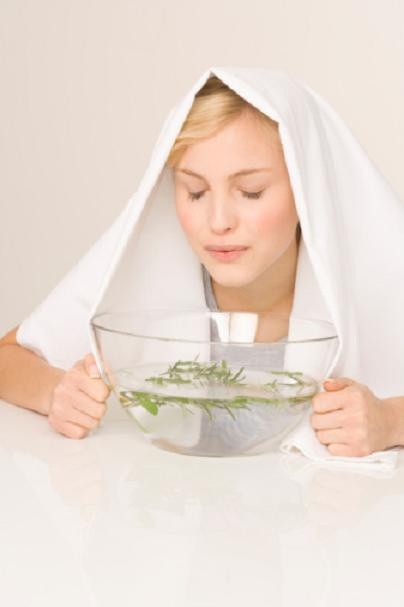 Up to this point, try to make every effort to cure a pesky cough, which has yet to pass. Buy toothpaste at any pharmacy. Make a compress twice a day. Mustard soak in warm water and apply on the chest and back. The best option is to put mustard once a day on the chest and the second on the back. The course of treatment should depend on your condition. But already after a few treatments you will notice that phlegm began to move away. Make a round hole in a black radish. Fill in the notch with honey and put in the fridge to infuse for about a day. The juice take 1 tablespoon three times a day before meals. In fact, the resulting drug is harmless, but beware of taking it if you are allergic to bee products. Children to drink the infusion of radish with honey, too. Inhalations ease the Airways and promote the conclusion of sputum. Breathe on the hot steam, wrapped with a blanket several times a day. To enhance the effect, add essential oils of cedar wood, baking soda or sea salt. Helps broth and potatoes. Warm up the feet in hot water with mustard powder. Do it in the evening hours, and then put on wool socks and lie down under a warm blanket. Be careful and avoid drafts after thermal procedures. If you have very sensitive skin, then into the water do not add the mustard, although it the effectiveness of procedure is somewhat higher. Take expectorant drugs. Well helps, wild rosemary, lungwort, thyme. If the herb you really want, buy Bromhexine, Ambrobene, ACC or similar drugs. If the cough does not stop, go to a therapist. You should have a complete lung function tests and then the doctor will prescribe you a comprehensive treatment, possible antibacterial agents. Do not delay a visit to a specialist, a lingering cough can develop into a serious disease - asthma or obstructive bronchitis.